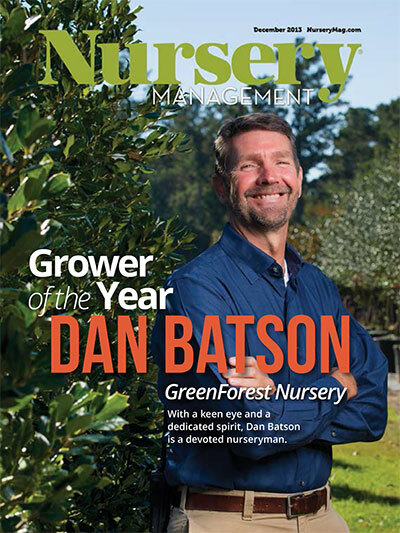 GreenForest Nursery, Inc. is recognized as one of the most progressive, innovative green industry businesses in the United States and is committed to excellence in every phase of its operation. Our 160-acre nursery includes the essential varieties of trees and large shrubs used in today's landscapes. Over the years, we have honed our production practices to give our customers healthy, well balanced plant material that will thrive in the landscape. GreenForest Nursery is committed to the advancement of the horticulture industry and its beneficial effects on our environment. We believe involvement in state, regional, and national associations helps unite a very diverse industry and that it educates the public on plants being beautiful and necessary for our planet. Quoted from NASA, "The loss of trees in the planet's water cycle is critical to the advancement of climate change. Their removal exposes land to the drying effects of the sun. Trees also play an important role in absorbing greenhouse gases." GreenForest Nursery, Inc. has always, and will continue, to serve our customers with a broad variety of high-quality plant material at competitive prices. We vow to maintain and further develop a reputation of honesty and integrity and always encourage a positive working environment that instills pride in employees.